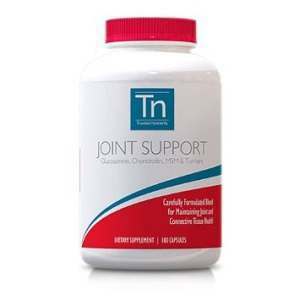 Advanced Joint Support supplement is designed for people suffering from joint pain. Trusted Nutrients goals as outlined in the product source are simple; to help reduce user inflammation, ease pain, and promote the growth of healthy cartilage and ligaments. In order to accomplish this, Trusted Nutrients has combined the best natural ingredient that doctors recommend to relieve joint pain. These ingredients include chondroitin sulfate, glucosamine, MSM, and turmeric to promote joint health, increase bone strength, support collagen formation, build cartilage, and improve ligament resilience. The product source provides little information about the product’s content except to say that it contains chondroitin sulfate, glucosamine, MSM and turmeric as mentioned in the description. Specific amounts contained in the product of each ingredient are not provided in the product source. $24.00 for a 180 capsule container (90 day supply) with free shipping. The product source says that the vendor offers an unconditional 100% money back guarantee put provides no specifics about how this guarantee works. All 18 reviews contained in the product source were 5 star reviews, the highest rating. While little detail has been provided in the product source about ingredients or about product returns, given the low product cost compared to competing products a potential purchaser is not taking a costly risk to try this product at least once. Mark Stevens	reviewed Trusted Nutrients® Advanced Joint Support	on October 10th	 and gave it a rating of 2.